The Blot is really digging this new line of Marvel Comics Wood Warriors figures by PPW Toys! To kick off this fun new wood toy line, PPW is releasing Marvel Wood Warriors action figures of heroes Captain America, Spider-Man, Iron Man, Deadpool, Hulk and Thor. Each 8” sold wood figure comes hand painted and features tons of articulation. 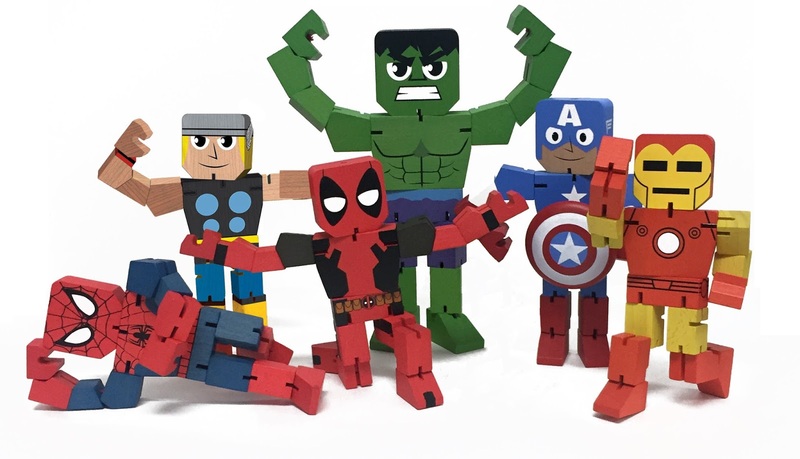 Packaged in a window box perfect for display, these Marvel Wood Warriors can be pre-ordered now at Entertainment Earth for $20 each here.